The ever-evolving nature of social media demands that marketers must continually update their social media strategies to stay in-tune with the latest marketing trends, on-target with the changing industry, and in touch with their desired audience. This is especially true in hospitality marketing, where travelers are continually being wooed and wowed by competitors eager to engage them. 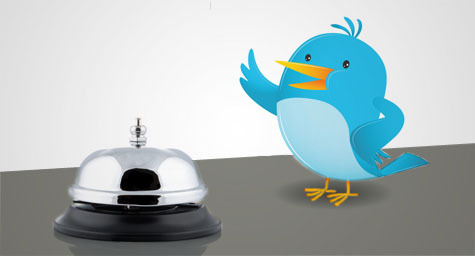 For a peek at the hotel brands that have social media engagement down to a science, HotelNewsNow.com compiled the following list of leaders and their winning ways. 1. Hilton Hotels & Resorts’ Five-Star Social Service – As part of the brand’s mission to make every guest feel valued and vital, their hospitality marketing strives to use their social media channels to listen and respond to guests 24 hours a day. Their social media team carefully monitors their accounts on Facebook, Twitter, Pinterest, YouTube, China’s microblogging website, Sina Weibo, and others to ensure that all guest matters are recognized, responded to, and remedied as quickly as possible. This attentive social media service has certainly paid off, as seen by the 185 percent increase in Facebook followers and their rapidly growing social media engagement levels. 2. Marriott Hotels & Resorts’ Casual Conversation – The travel giant is a relative latecomer to social media since they only established a social presence six months ago. Despite their tardiness, the company has discovered that social media engages both Gen X and Gen Y travelers. In fact, they already have more than 500,000 Facebook followers. The secret to their social media success has been speaking to these younger travelers in a relaxed, genuine way and discussing topics most relevant to them. By using a tone that is comfortable and witty, their marketers are able to engage these young audiences and present their hotel brand as one that understands their needs. They also monitor every comment on a daily basis and strive to address any problems within six to twelve hours, which attests to the brand’s focus on guest satisfaction. 3. Best Western’s Interest in Innovation – Ingenuity has helped the hotel brand thrive in social media over the last year. Their hospitality marketing team has focused on continually developing fresh, fun campaigns and offering one-of-a-kind deals that keep guests excited and engaged. Not surprisingly, every social media channel is carefully monitored and each comment receives a rapid personal response. By carefully listening to their social media feedback, their team has developed social media marketing campaigns that give customers exactly what they want, on the channels that reflect their preferences. One of their most successful social media marketing campaigns was their “Be a Travel Hero” promotion on Facebook, which enabled fans to create unique travel groups as they booked their upcoming trips. Paying attention to social dialogue and striving to be continually creative, the company has distinguished itself as a hospitality brand that offers an extraordinary experience. To learn more about integrating social media strategies into your hospitality marketing, contact MDG Advertising. MDG Advertising, a full-service advertising agency with offices in Boca Raton and New York, NY, is one of Florida’s top integrated marketing agencies. Our 360° approach uses just the right mix of traditional and online media to reach your hospitality marketing goals. While some industries may fare better in print and others online, we strive to create a balanced approach, where traditional and digital marketing efforts support each other and your message is tailored to the medium. To stay on top of new hospitality trends, contact MDG Advertising, or view MDG’s 360º hospitality marketing portfolio.